A question for the grammar experts. How can I learn Hebrew grammar in a systematic way? Especially a book that would help me understand how to layn properly. Something that covers rules of nikkud, teamim, word stress. Verb conjugation. Something that would help me understand the technical terminology that the Minchat Shai uses. I'm familiar with the Tanakh, and I speak passing modern Hebrew, so its not a question of basics. I just feel that I never advanced beyond a well-informed "balabatish" understanding. Will I get a complete picture by reading one or two of the major books? Has the understanding of Hebrew grammar evolved over time? And if so, how drastically? Are there any accessible academic works on Hebrew? I enjoyed, for example, the few examples in the Wikipedia articles on Hebrew grammar which explained the relation of Hebrew to the other Semitic languages. I would recommend either "Biblical Hebrew for Students of Modern Israeli Hebrew" by Marc Zvi Brettler or "A Grammar for Biblical Hebrew" by C. L. Seow. I've used each of these books in a biblical hebrew course in college. The Radak wrote Sefer HaMichlol (available on HebrewBooks) in order to make it easier for a person to learn grammar. Another good grammar book to read is Sefer Mo'znayim by Ibn Ezra. In the title page, Rabbi Wolf Heidenheim says that there is no better Hebrew grammar book than it. I also found this pdf which has the book newly typeset and easier to read. I didn't know modern Hebrew when I started studying Biblical so this might be too basic for you, but I found The First Hebrew Primer (it's for adults, not kids) very useful for its systematic approach and focus on one or two concepts at a time (with gradual introduction of vocabularly). For a more-grammatical/linguistic approach, I recommend Grammatical Concepts 101 for Biblical Hebrew, which explains how grammatical constructs work in English and then maps that to Biblical Hebrew. 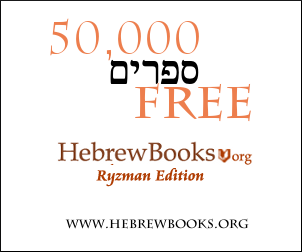 Since you already know some modern Hebrew, you should be able to jump into the latter book. Not the answer you're looking for? Browse other questions tagged tanach product-recommendation jewish-books grammar-dikduk torah-reading . English books for better understanding of Jewish thought? Which books of the Ramchal did he publish himself?